Selena adapted to living with her new 'family' quite well. She had Demi who understood her perfectly. Liam who looked after her, Miley who supported her, Joe, Kevin, and Zac who looked out for her, and Ashley and Vanessa who were like her 'older sisters'. And there was Nick. Nick Jonas her best friend. Nick who she was in love with since she first laid her eyes on him. Nick who didn't feel the same way. Nick who broke her heart. Now there's Taylor. Taylor Lautner who's the richest guy in town. Taylor who makes her feel beautiful. Taylor who loves her. But then there's Nick. Nick who is jealous. 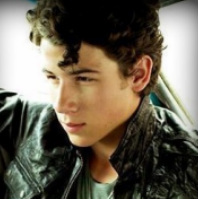 Nick who would always do anything for Selena. Nick who realizes he loves her too. Nick who understands her like no other. 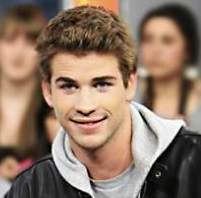 Now here's Selena Hemsworth. Selly who doesn't like to be told what to do. Lena who'd leave anything to be with Taylor. Selly who'd never give up. Lena who wants to throw everything away. But really, it's Selena who doesn't know what to do. Now Demi's problem is slightly different from her sister's. She's in love with her older best friend Joe Jonas who loves her too. Only, he doesn't want a relationship. He says that poor people like them have no time for love and other 'foolishness'. After his brother's death, Joe grows distant from her; convinced that love and affection only lead to sorrow. So when rich guy Sterling Knight takes an interest in Demi, she's not pushing him away. In fact, she's opening up her heart for him. But there's a catch, Joe's still in heart and he refuses to leave. Nick is the youngest of three sons. He and his brothers were abandoned when he was just five. Kevin and Liam met at school and became inseparable. They teamed up and created the gang. Soon enough Zac, Demi, and Selena were added to the batch. Nick became best friends with Selena (and good friends with Demi, who preferred his brother anyway). But everything went downhill when Selena said the words "I love you." He wasn't ready to hear them then, but now he is. Selena says the magic words again...just not to him. Now, Nick is starting to believe his brother; "Only fools believe in love and affection". Life always hit Joe hard. First he and his brothers were kicked out, and then his older brother Kevin was brutally murdered. You can't exactly blame him for not wanting to be close to anyone else. That's why he decides to push Demi away at all costs. Of course, right when he realizes that it's okay to let someone in, that special someone isn't interested anymore. Taylor is Miley's younger brother and the son of one of the richest families in town. When he meets Selena, he can't help but notice that she's not like everyone else. He's drawn to her and spends most of his time taking her out and making her feel like the princess she really is. Nick better watch out because Taylor isn't going down without a fight. Liam and Kevin shared the responsibility of the gang. They both did full hours on the weekend just to keep the house running. But now after graduation and Kevin's death, Liam has 1 full-time and 1 part-time job. He wants to go to university--- or at least college---but knows it's out of the question. The money he makes only keeps the water running, the electricity sparking, and a house for the whole gang. He can't pay for food, let alone further education. And now he dislikes his girlfriend Miley even more than he did before. But can you blame him? Miley's free-loading when she had the choice to stay home with her rich family. Sterling is one of the sons of the other rich family in town. He has a twin sister and an older brother. He is best friends with Taylor. 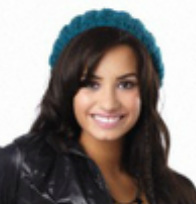 He is at first annoyed with the Hemsworth sisters but eventually warms up to them---especially Demi. He admires her personality, and thinks she's excellent company. After hearing about how Joe treated her, he vows to make her the happiest woman alive. Destiny is the daughter of the rich Lautner family---well was would be more appropriate, seeing as she was disowned. She's also known as Miley or 'The-Unwanted-Free-Loader'. Once Liam stops being affectionate towards her, she starts to miss her family. She writes a letter to Taylor (delivered by the Hemsworth sisters) telling her little brother about her little secret that should stay hidden. If the truth comes out....well let's just say that there will be angry explosions everywhere. Tanya is Sterling's twin sister. She's very friendly, sophisticated, and happy. She welcomes the Hemsworth sisters with open arms. She absolutely adores them and already considers them part of the family. Zac was the cool guy of the gang. He did what he pleased and the only person he listened to was Liam. His parents were always drunk and made poor choices all the time, so he was angry when they 'disapproved' of his girlfriend Vanessa. He took matters into his own hands so he and Vanessa (and their best friend Ashley) ran away from home. Zac was the third member of the gang (excluding Joe and Nick who were a 'package' with Kevin). He later got Vanessa and Ashley into it. Zac seems like a typical bad guy but he's very protective of the girls in the gang. Vanessa is best friends with Zac and Ashley. She is also the sly snake of the gang. You better check for your wallet or purse whenever you're around her, because she'll take something without you even knowing. Whenever the gang hosts any heists or stakeouts they let her do the actual smuggling. Ashley is the kind of girl that you immediately feel comfortable with. She makes you feel like you've known her forever and that you can tell her anything. That's why she's always the distraction. She talks people up while the rest of the gang does their thing. Ashley came from a middle class family. Vanessa was abandoned as a child and so she lived with Ashley. They were basically sisters. So when Vanessa & Zac went to join the gang, Ashley did too. Her parents were angry at first but eventually got over it. They send money every month, and a letter begging her to come back home. Although Ash is grateful, she's not leaving her new family behind.